MOVE IN READY with an INCREDIBLE outdoor living space! With 4 bedrooms on the ground floor and a 5th bedroom/bonus room on the second floor~this home has the perfect layout! The garage has a 2 door access but has the area of a 3+ garage for storage and toys. The interior & exterior have been recently painted, extensive landscaping added and the private backyard space has been transformed into a magnificent living area. Exterior features 463 sf under cover + pool-tanning area-it is truly one of the best outdoor spaces you will find. 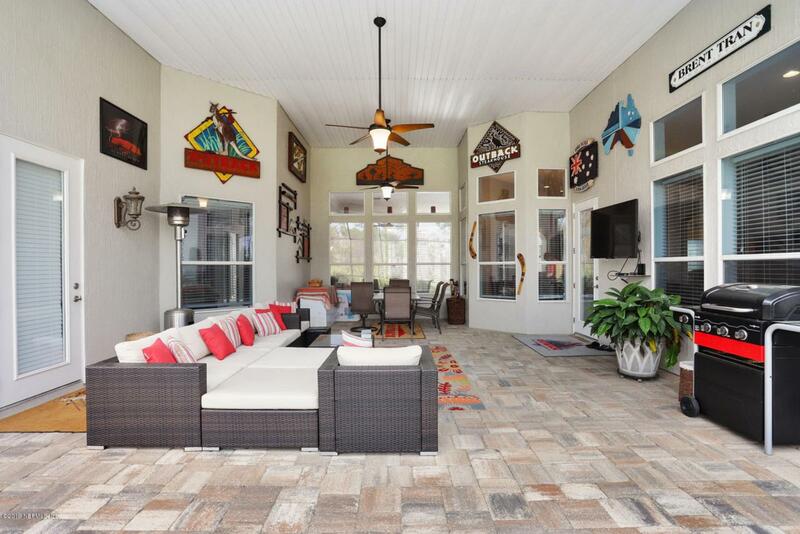 4K smart TV hung on exterior wall under cover for entertaining on lanai or even in pool! Owners added a 26 X 13 1/2 foot salt water, heated pool (solar cover included) in 2017 which includes a variable speed system for electrical efficiency.Seller purchased this property & transformed it into a gorgeous home, inside & out! Most of the builders landscaping & sod was removed and lush landscaping and new sod added including palm trees, 4 fruit trees, bushes & extensive pavers on lanai and around pool area. Pavers have been sealed with Ure-Seal for durability. 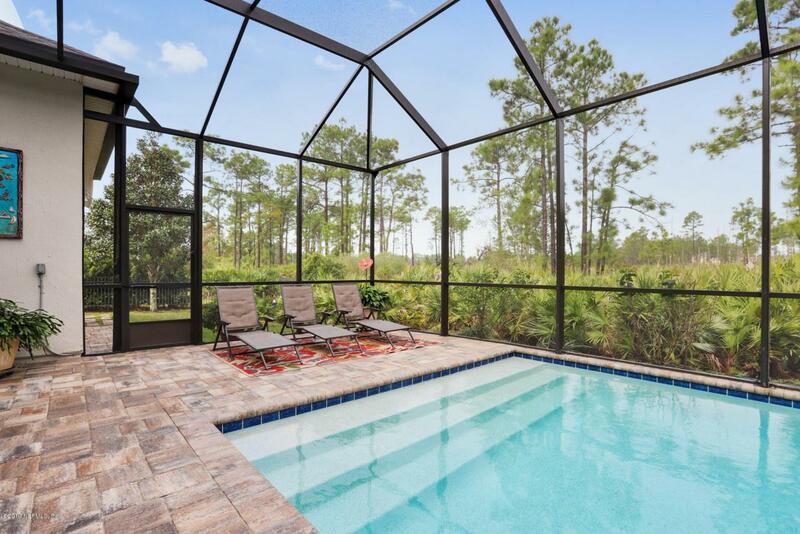 The preserve area behind home is actually part of the property & is perfect for privacy. Exterior was recently painted with Super Paint exterior latex. Interior has been painted throughout & new carpet has been added to the downstairs which blends nicely with the laminate wood floors in kitchen & formal living area. Formal dining area has triple crown moulding, Formal living area features a gas fireplace, built in mantle & shelving. Kitchen features an island for extra storage, pull out drawers, a wine rack & glass front cabinets for display items. 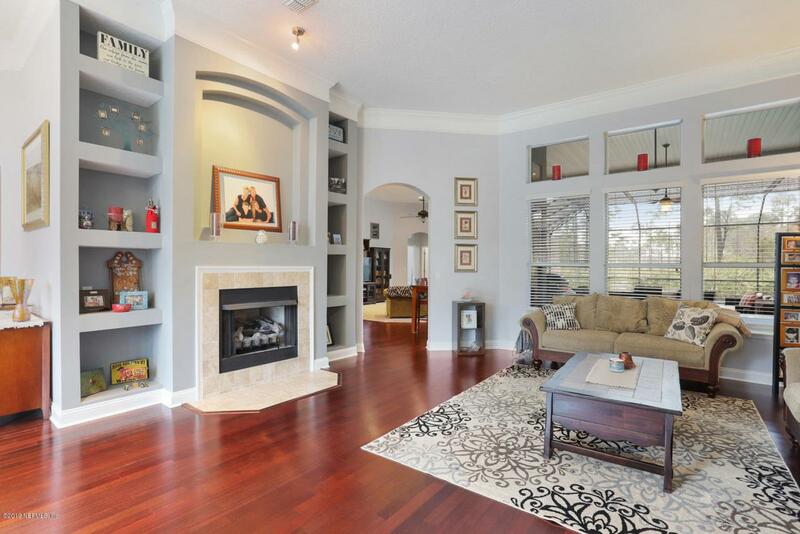 Master bedroom is extra large with a sitting area, triple crown moulding & a door to access lanai. Owners Suite has a gorgeous claw foot tub and walk in glass block shower with 2 shower heads plus 2 sinks. Too many features to list~ a must see!